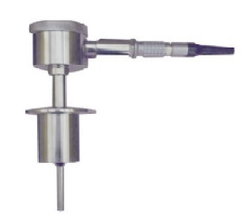 Providing you the best range of rtd with lemo connector, rtd sensors, rtd sensor, autoclave rtd, dipstick rtd sensor for engine oil temperature measurement and acid and alkali rtd - with teflon coating with effective & timely delivery. 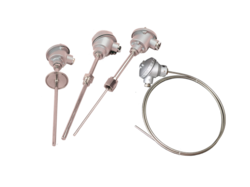 Radix RTD sensors are custom built for each application. The RTD sensors displayed on our website are a small sampling of what we have designed for many of our 2000 customers. Do send us your inquiry in as much detail as possible, we will follow up with you to fully understand your application and pick the right product for you or even design a new one! 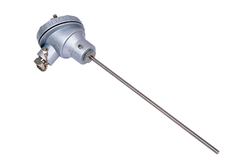 RTDs (Resistance Temperature Detectors) - are temperature sensors that has a resistor inside that changes resistance value as its surrounding temperature changes.RTDs are being used for many years to measure temperature in labs, industrial processes and have developed a reputation for stability, repeatability and accuracy. 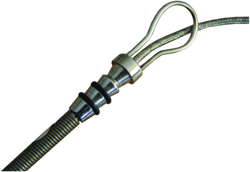 Radix RTD sensors are generally chosen over our thermocouples in applications which require a higher accuracy and higher repeatability of temperature measurements. 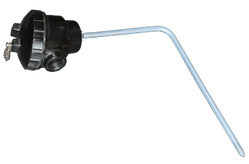 Due to their design, our RTDs are also easier to install and calibrate. Slot RTD sensors are designed to measure operating temperatures of electric motors, generators so as to detect and prevent overheating. 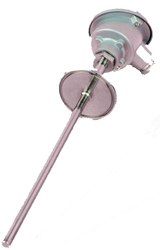 The sensor with its slim dimensions can be directly inserted between the motor winding. The RTD is made of fibre body to withstand voltages up to 3KV, thus protecting its element from damage due to exposure to high voltages. It is built in 50mm, 100mm or 150mm sheath lengths. 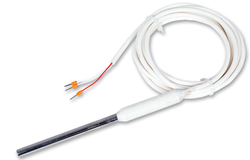 Looking for RTD Sensor ?